Mahouts Elephant Foundation are helping a Karen village in Thailand to bring their elephants back home from the working camps to the forest, forever. 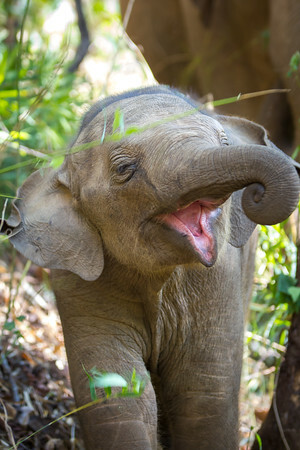 Baby boy Sunti at three months old, enjoying life in the forest. All proceeds from prints go to Mahouts Elephant Foundation, who are making it possible to bring these elephants home.